The first step is to open your Wordpress dashboard. Then, click on "Products > All Products". After That, click on the "Import" button. You will be redirected to the upload page. In this page, there is a button called "Choose File" (depends on your browser/language). 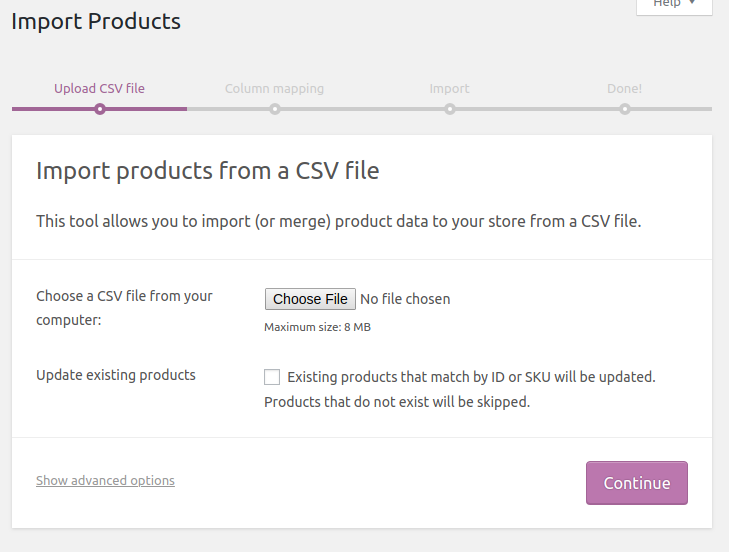 Click on it and select the products CSV file from your computer. In this tutorial, I'm going to use the dummy products file provided by Woocommerce. So, after selecting your CSV file click on "Continue". You will be redirected to the "Map CSV fields to products" ( i recommend you not to change anything in this page, especially if you are not an advanced user ). Scroll down to the bottom of the page. 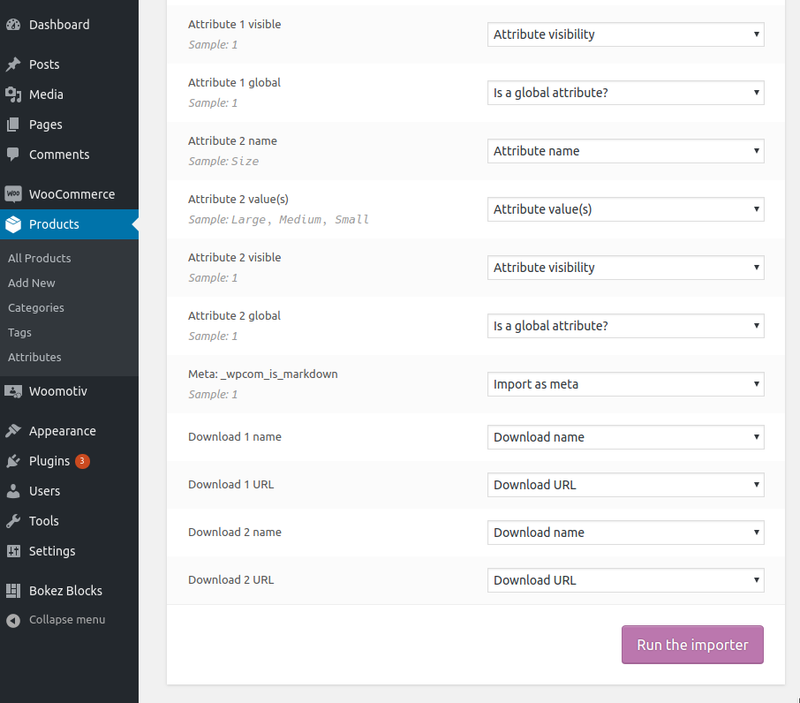 Then, click on "Run the importer" button. 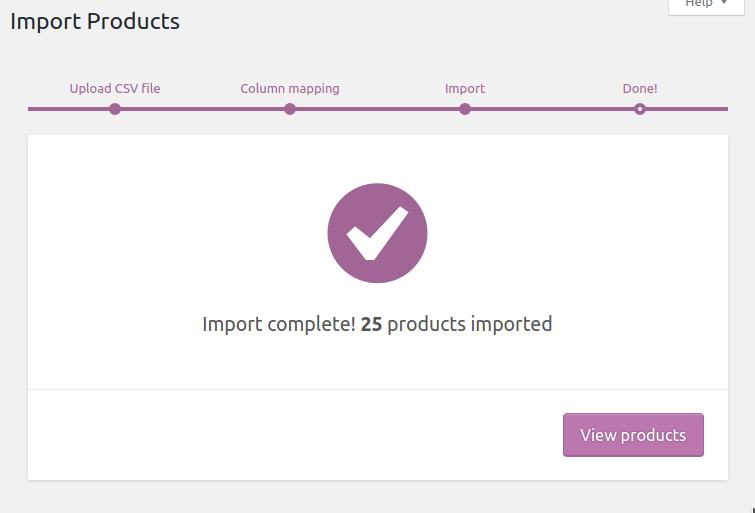 Congratulation, you have learned how to import Woocommerce products without using any plugin. Now click on the "View Products" to see your new product list.